Milestone C workshops are short (10 hours or less), project-based STEM programs currently available in Connecticut only. As featured on several TV news segments and newspaper articles, all Milestone C programs are designed to help students build critical thinking, collaboration, and communication skills. As the only program of its kind available to high school students, ACE brings the adrenaline-fueled world of aviation into the safety and comfort of the classroom. Students are placed in a simulated flight school environment where they learn about the physics & physiology of high-performance flight before testing their piloting skills on Milestone C’s realistic flight simulators. This hands-on experience explores the archaeological process and introduces students to careers within the field, while visiting some of history’s most interesting sites and finds from around the world without leaving the classroom. Students will learn how archaeologists use artifacts and site stratigraphy to begin unraveling age-old mysteries. We will also explore the typical life cycle of an artifact, from its initial discovery to its display case in a museum, and everything in between. Designed by professionals with over 50 years of combined experience as Fortune 500 engineers and engineering managers, this workshop serves as a broad introduction to the world corporate engineering through a series of conceptual small-team projects. CEI is a horizon-broadening experience as much as a project-based laboratory to practice key professional skills required in all 21st century STEM industries. Launching with the introduction of a hands-on project that will span the entire workshop, CEI – Level 2 will test the limits of even the most functional student teams’ critical-thinking and collaborative abilities. The primary objective in Level 2 is to open students’ eyes to the wide variety of career opportunities available in 21st century engineering industries, how to pursue them, and what day-to-day life as a corporate engineer may entail. Learn about engineering and technology by building & flying racing drones! The Milestone C team of aerospace industry professionals employ cutting-edge technologies and experiential learning techniques to equip students with key engineering skills. In this flagship workshop, DEI students will learn about basic aerodynamics and unmanned aircraft architecture, and then apply the engineering process to design, build, and test their own drones in teams, emulating the life cycle of a real-world engineering program from beginning to end. Test your leadership and teamwork skills the way corporate professionals do in this signature Milestone C leadership & team-building simulation originally designed for corporate executives and then streamlined for students. 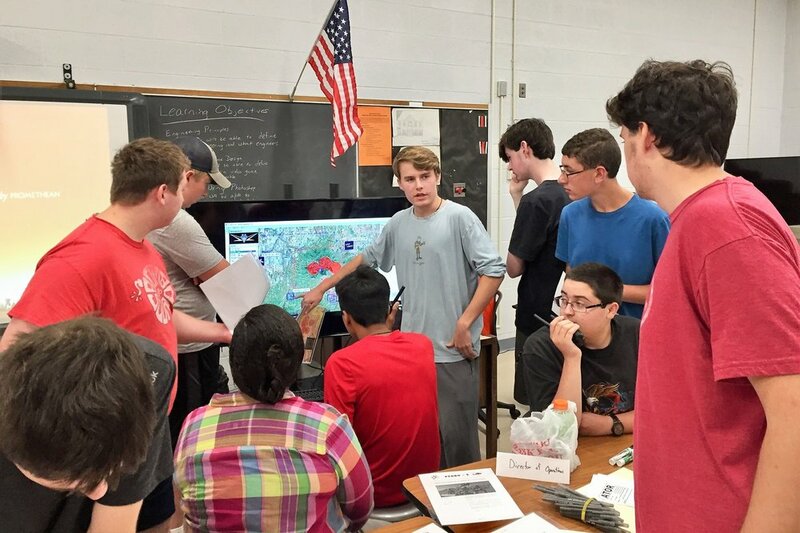 This extremely unique and scenario-based workshop immerses students into “mission control” to plan, brief, execute, and debrief a simulated search & rescue mission. They work in teams and make repeated decisions under pressure while witnessing the results of their actions real-time on a simulated satellite link. Build the confidence to influence! The ability to concisely and effectively communicate in the 21st century STEM workplace is just as important as technical competence. Public speaking and formal presentation skills have become an integral part of day-to-day job functions, as well as college and early career interviews. PSP employs Milestone C’s trademark techniques to building public speaking and presentation skills, proven by our staff’s expansive experience working as leaders and managers at Fortune 500 corporations. Drones have captured the next generation’s imagination and are undoubtedly the way of the future! Most students know how to fly them. Now, it’s time to build their own working in teams. DBW students will learn about basic flight science, piloting realistic drone simulators, apply the engineering process, and, finally, compete against other teams in a drone challenge! Fly simulators, drones, and let your dreams take flight! In this exciting aviation exploration laboratory, possibilities are bound only by imagination! Instructed by veteran pilots and aerospace engineers, JFS allows students to learn by doing and sparks early interest & motivation in STEM. Level 1 introduces basic flight science fundamentals and hands-on piloting skills. JFS – Level 2 creates an unforgettable experience for the young future pioneers among us! Students build on Level 1 fundamentals and work in teams to design wings, gliders, and compete against other student teams in drone challenges!